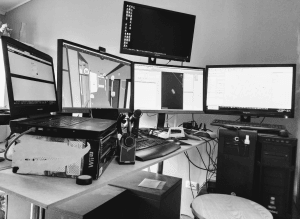 Once you start to run more than 4 monitors, most computers start to struggle. So, then you need more computers to have more monitors And then, you need to share one keyboard and mouse across multiple computers… so you need a mouse and keyboard sharing utility, that preferably also shares your clipboard. The post Free Keyboard and Mouse Sharing Between Computers appeared first on What Revit Wants.